Clarence Shannon Hall Jr. (Papa) was born and raised a Sand Springs native who left his mortal coil on February 1st of this year. His sudden and untimely death came as a shock to all who knew him as he had only been diagnosed with arthritis, glaucoma, chronic lymphocytic leukemia, liver cancer, lung cancer, bone cancer, and extreme stubbornness. Clarence is survived by his two kids, two grandkids, and two weenie dogs. We are unsure of who is the favorite of the bunch, so the quarrel must be litigated in family court… or at a local bar. 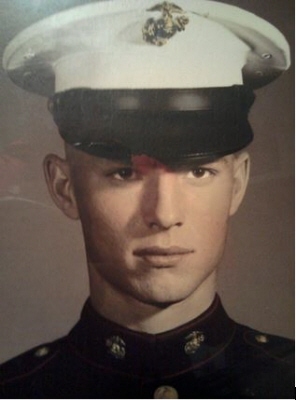 After retiring from 1 year of service as a Marine (superseding the 2 week life expectancy for those like him in his platoon) he worked as a mail carrier before retiring early from that job to enjoy the life of a man in his 20’s with the body of a man in his 60’s. Despite his endless amount of piss and vinegar, Clarence was a kind and loving soul to those close to him. He made sure his loved ones were always taken care of and would always offer help in any way he could. He was a wealth of wisdom and stories that would take at least two lifetimes for you or I to acquire. Clarence was loved greatly and will live on in our hearts and sarcastic remarks forever. A memorial service will be held at the VFW in Mannford, OK (2220 OK-48, Mannford, OK 74044) on Saturday, January 9, 2019 at 2:00 PM. To send flowers or a remembrance gift to the family of Clarence Shannon Hall, please visit our Tribute Store. "Email Address" would like to share the life celebration of Clarence Shannon Hall. Click on the "link" to go to share a favorite memory or leave a condolence message for the family.